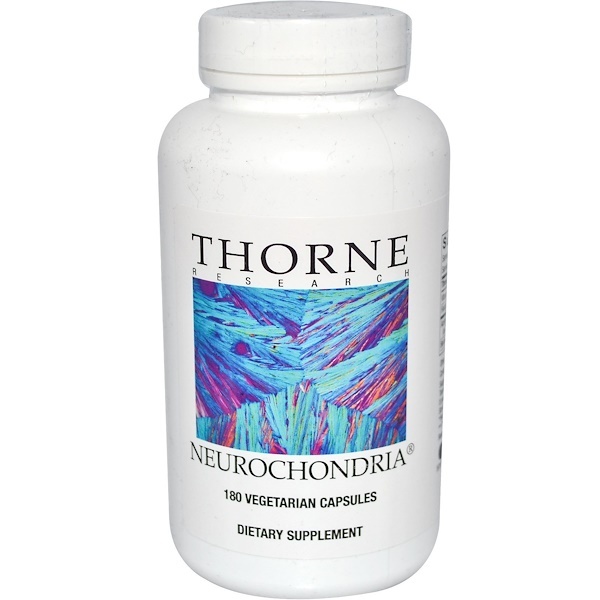 Thorne Research's Neurochondria is a superior formulation in the effort to maintain good neurological health. This revolutionary product includes the best-researched nutrients for neurological support, providing antioxidant protection for sensitive neuronal tissue (R-lipoic acid and glutathione), enhanced neurotransmitter synthesis (acetyl-L-carnitine), optimized mitochondrial energetics (coenzyme Q10), cell membrane support (phosphatidylserine), and enhanced nerve cell function (benfotiamine, 5-MTHF, and methylcobalamin). Hypromellose (derived from cellulose) capsule, MagnesiumCitrateLaurate, leucine, silicon dioxide. **Benfotiamine is the active form of Thiamin. 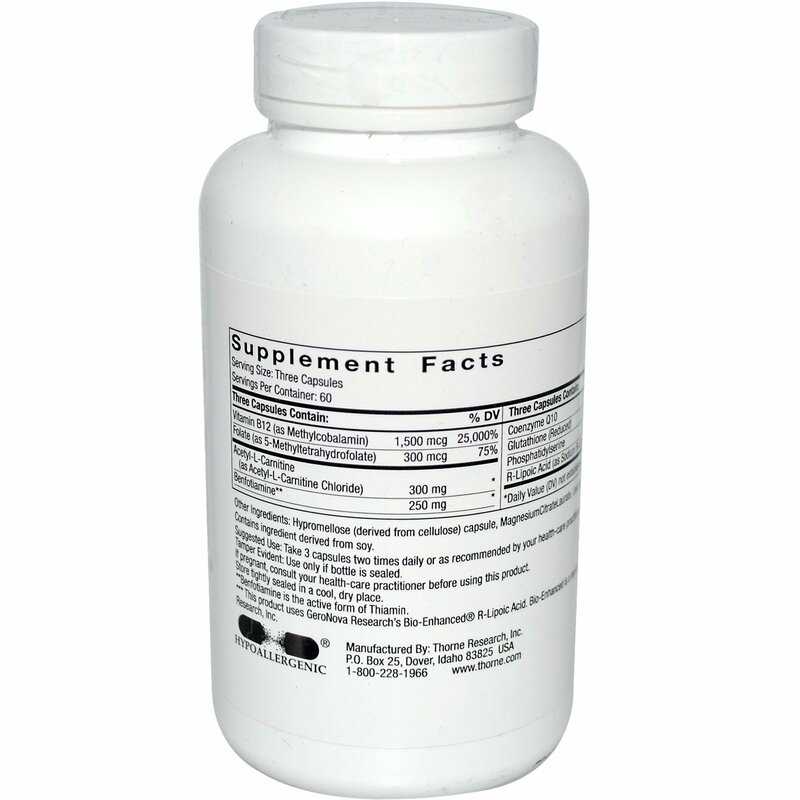 ***This product uses GeroNova Research's Bio-Enhanced R-Lipoic Acid. Bio-Enhanced is a registered trademark of GeroNova Research, Inc.